“We must learn to avoid war and develop a general will to peace. I believe the key to this development is to learn the truth about the real causes and the effects of wars so that we can see through the false propaganda which is used by political leaders to convince us to go to war. His book is a history of the huge shift in public opinion which tried to avoid wars into the acceptance of permanent war with the War on Terror. The event of 9/11 was the perfect storm for the destruction of American freedom because we are now at war permanently with terrorism and there is no way to tell when the war is over or who could sign a peace treaty for the terrorists. One of the benefits to fascist government in a war is that it gives complete government control over the people and their property, and dissent is stifled. 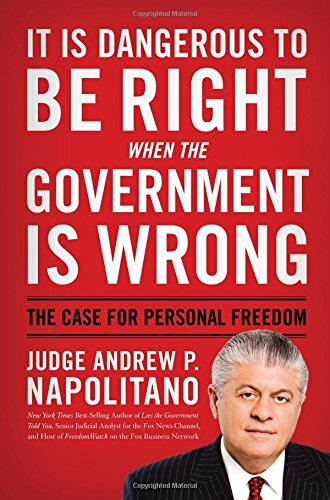 There is a great book out now entitled It is Dangerous to Be Right When Our Government Is Wrong. 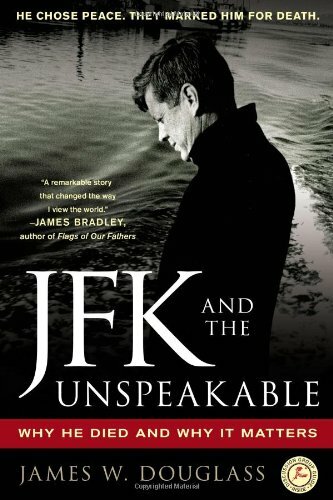 I am sure that all of you know who the author of this very important book is – Judge Napolitano. It takes a courageous patriot to stand-up to his or her government and say the war is wrong but that needs to be done to protect freedom. You can be accused of being disloyal even if you question wars that have been over for some time such as World War I and World War II. Revisionism about war is about the search for historical truth to bring history into accord with the facts with the purpose of trying to promote peace and prevent war. This is a very large subject and so I will limit my remarks today to only two specific aspects of revisionism on war. First, we need a new paradigm for political labels which needs to include the fact that the political philosophy of fascism is a political philosophy of the left and not the right. Collectivism includes communism, socialism, and fascism. Confucius is reported to have said that you can lose your liberty by corruption of language and the meaning of words. I think there needs to be a revision of the political labels “left and right” and “conservative and liberal” because they have become meaningless in the description of the political ideas which are involved today. There are many writers who agree that Franklin Roosevelt’s New Deal was fascism and I think that the 20th century America has evolved into a political fascist system of war and welfare. In Germany after World War I, where the violence of communism was also about to take over Germany as part of the international movement, it was Hitler and the National Socialist German Workers Party which advocated force and violence to overcome communism. Hitler saw communism as a Jewish political movement and almost always referred to communism as “Judaic Bolshevism.” It was Hitler who introduced racism to the fascist movement. Today if someone wants to smear another political person they will say that they are part of the extreme right or a fascist and naturally people think of the Nazis. People on the left are often characterized as moderates and people on the right are often characterized as extremists and fascists. 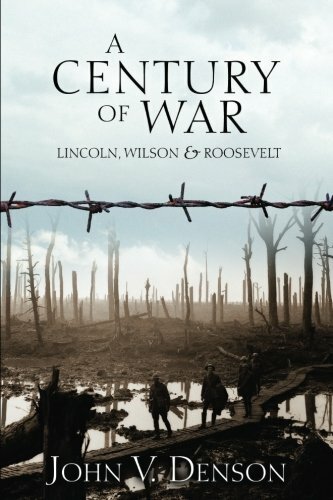 Jonah Goldberg points out in this book that Teddy Roosevelt, Herbert Crowly and his colleagues glorified war because it “…was the midwife of progress. Indeed, Crowly believed that the Spanish-American War’s greatest significance lay in the fact that it gave birth to Progressivism.” Goldberg points out that the Progressives believed that militarization of society and politics was considered to be the best available means towards the centralization of power. You could use patriotism of the people to cause them to give up their liberty in the name of security. Goldberg states “Wilson fully abandoned his faith in congressional government when he witnessed Teddy Roosevelt’s success in turning the oval office into a bully pulpit.” Goldberg further pointed out that the Progressives were openly and proudly hostile to individualism and viewed the traditional system of constitutional checks and balances as an outdated impediment to progress because such horse and buggy institutions were a barrier to their own ambitions. Goldberg thinks that Wilson may have been the twentieth century’s first fascist political leader instead of Mussolini. One of the 20th century’s most astute intellectuals in political theory was Erik von Kuehenelt-Leddihn who agrees completely with me and Jonah Goldberg on placing fascism on the left. 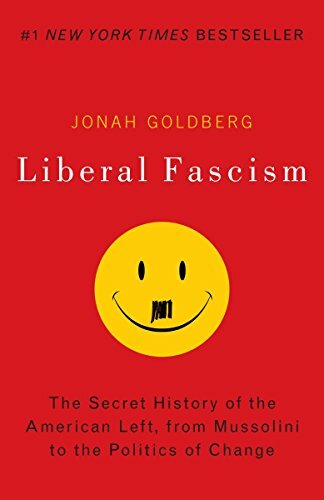 He covers this in his book entitled Liberal Fascism: The S... Jonah Goldberg Best Price: $1.44 Buy New $6.08 (as of 11:00 EDT - Details) Leftism Revisited. In chapter four of that book entitled “Right and Left”, he points out that in Germany after World War I the National Socialist (or Nazis) were, seated on the far right of the Reichstag or Assembly because on the left side of the assembly were the internationalists who were the communists and the socialists. The conservatives and monarchists were national movements and were seated on the right. Since Nazism or fascism was a national movement in Germany rather than international, they were seated on the right with the conservatives. He explains this is how fascism became to be placed on the right rather than the left in political dialogue. 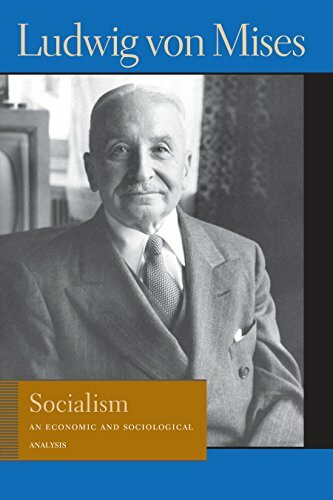 I think it is an important part of revisionism to get the language correct, and to reveal to the Americans especially, that the philosophy of progressivism, modern liberalism and neo-conservatism are really part of the fascist movement and are all collectivists along with socialism and communism. Today the dominant intellectual movement known as neo-conservatism fits the definition of fascism. They gained control of the George W. Bush administration and have continued to dominate American foreign policy with the tragic war in Iraq and the other wars now spreading throughout the Middle East, which was their original intent. This all changed with the election of Eisenhower in 1952 who brought to power the aggressive Dulles brothers, with John Foster as Secretary of State and Allen as head of the CIA. The Dulles brothers convinced Eisenhower that the CIA should in fact be used to overthrow Mossadegh using the argument that communism was going to take over Iran if they didn’t. Teddy Roosevelt’s grandson, Kermit Roosevelt, led the CIA’s secret and successful plan to overthrow Mossadegh and then installed the Shah to head the government. 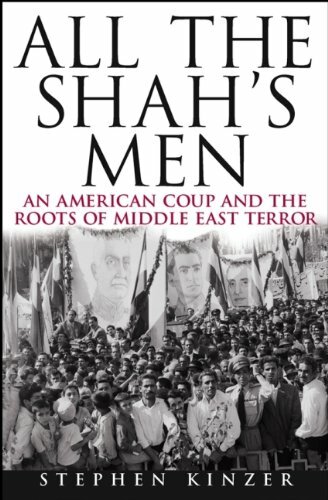 The CIA trained the Shah’s secret police who continued to terrorize the people of Iran until the Shah was overthrown later by the people. America, which had a good reputation in the Middle East before this, then became known as the Great Satan because it became well known that it was America that removed Mossadegh. 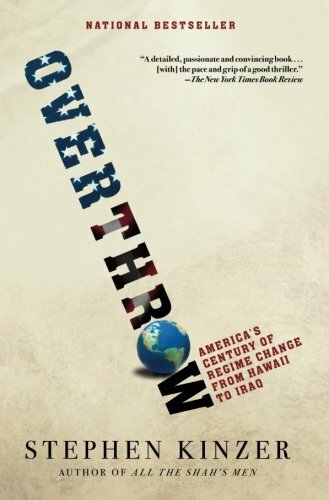 Stephen Kinzer, who wrote All The Shah’s Men, continued his study of the disastrous activity of the CIA in his excellent book entitled Overthrow: America’s Century of Regime Change From Hawaii to Iraq. When Eisenhower left office in 1960 he described the CIA as “A Legacy of Ashes” which became the title of an excellent and critical history of the CIA by Tim Weiner published in 2007. “To most Europeans, I guess, America now looks like the most dangerous country in the world. Since America is unquestionably the most powerful country, the transformation of America’s image within the last 30 years is very frightening for Europeans. It is probably still more frightening for the great majority of the human race who are neither Europeans nor North Americans…They, I imagine, feel even more insecure than we feel. They feel at any moment America may intervene in their internal affairs, with the same appalling consequences as have followed from the American intervention in Southeast Asia. 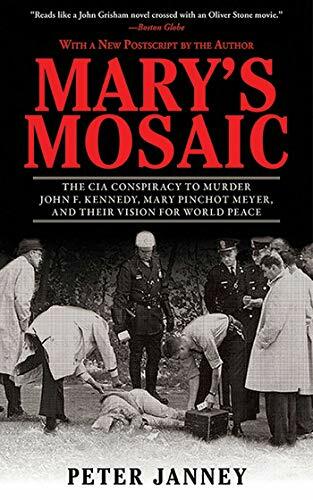 This brings me back to the fantastic book Mary’s Mosaic by Peter Janney who condemns the CIA for what he believes was the murder of Mary Meyer 11months after John Kennedy’s murder because the CIA felt that she knew too much about the assassination of John Kennedy and the involvement of the CIA. Mary Meyer was a beautiful, independently wealthy, well-educated and influential person. The CIA apparently feared that her diary contained much incriminating evidence against the CIA. There are several accounts of the search for Mary Meyer’s diary. One is that on the day after Mary’s murder her sister and her husband Ben Bradlee of The Washington Post, went to Mary’s house to search for the diary. When they entered her house they found James Angleton, the Chief of Counterintelligence of the CIA already there without any permission or authority searching for the diary. In conclusion, I believe the true patriot is the individual who will speak truth to power and try to bring history into accord with the facts especially as to war. This talk was delivered at the 30th anniversary celebration of the Mises Institute in 2012.